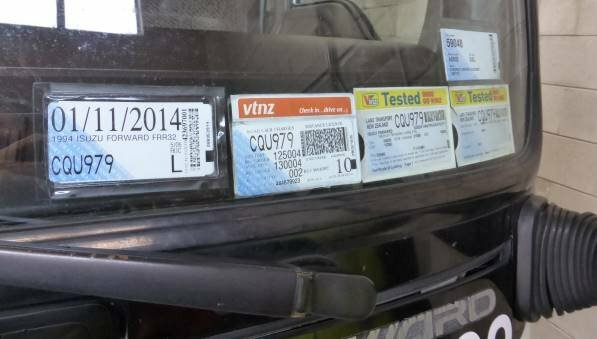 On a heavy motor vehicle fitted with a windscreen, where should the road user licence be displayed? On a heavy motor vehicle fitted with a windscreen, where should the road user licence be displayed? Correct. You must display the RUC on the inside of the windscreen on the passenger's side. The WoF and CoF go on the driver's side. The road user licence will look similar to this. This image shows the RUC on the bottom of the passenger side of the windscreen. 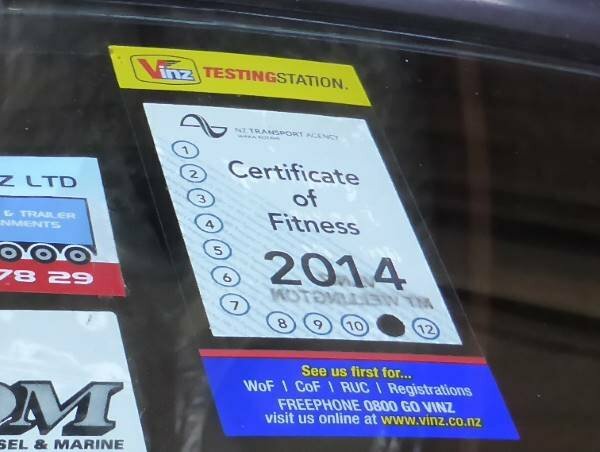 This image shows the certificate of fitness on the top of the screen on the driver's side.